Gaius has at times, too many features related to security. And so we've created this brief hub to help you learn about it all. 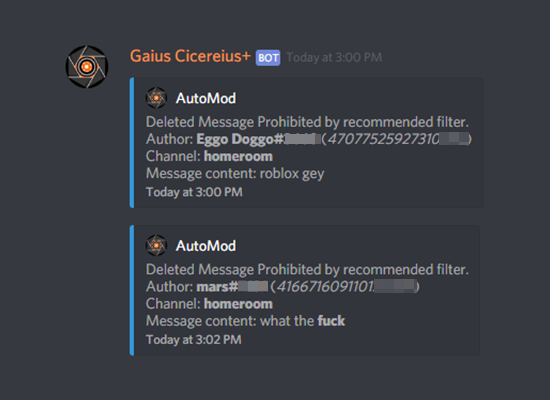 Constantly updated filters designed to keep out phishing, harmful links and more that actually do come up on Discord. 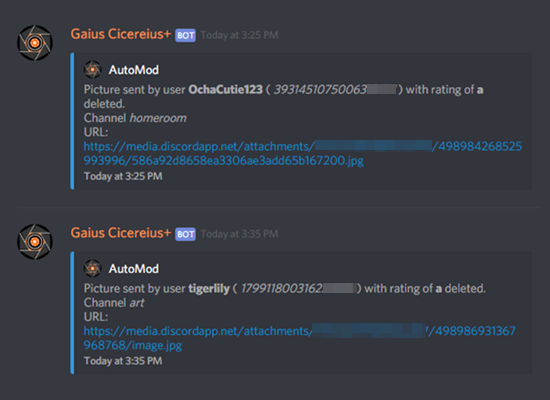 Stop worrying about NSFW image spam, Gaius auto detects and removes NSFW. We auto block malicious users ranging from raiders, phishers, userbots and much more to keep you safe. All the must-have tools your staff need to moderate your communities from ban, warn, mutes and more. Configurable all around our anti-spam system offers an arsenal of settings to keep you safe. We offer pre-made category word, URL, invite and more filters that are one step commands to enable and disable. From mass moving people to kicking and muting. We offer commands for your staff to do it easily. Freeze your entire server in the event of a large-scale attack and thaw it when everything has been taken care of. Lock a channel from use and unlock it later. Automatically mute new users on join. And automatically turn on Panic Mode when a mass threat is detected. 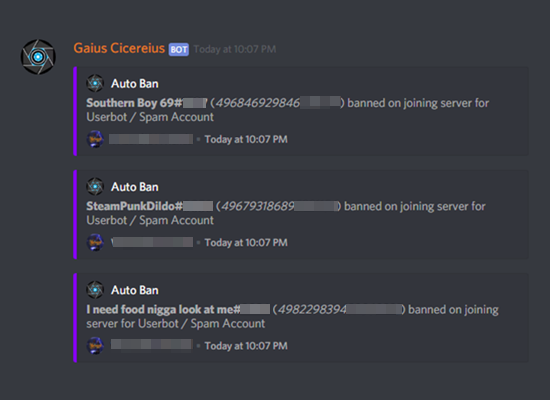 Automatically kick, ban and mute accounts that join under X days old. Have new users that join go through a verification process before they can access your server. Ready to try Gaius? It's free!